FRANKFURT/WASHINGTON -- Congress should investigate new allegations that Volkswagen Group diesel cars were sold overseas with rigged software after the company's $14.7 billion settlement of a cheating scandal in the U.S., a Republican lawmaker said. A new probe is "almost inevitable," Representative Darrell Issa of California, the former chairman of the House Oversight and Government Reform Committee, said in a phone interview. "There is a growing sense executives need to be held accountable," he said, adding that an earlier settlement reached between U.S. regulators and Volkswagen in 2016 didn't reflect the scope of current "global conspiracy that we now understand." Issa, who said he had been in discussions with about a dozen other lawmakers, said the testimony of key Volkswagen and Porsche executives could be sought as soon as April and that they may seek to compel their testimony if they don't provide it voluntarily. A new congressional investigation could complicate VW's efforts to emerge from one of the biggest scandals in automotive history, involving 11 million vehicles worldwide. In 2016, the company reached a settlement of nearly $15 billion with the U.S. government in which it admitted to rigging diesel models so they would pass government emissions tests in the lab even as they exceeded by wide margins pollution standards on the road. The company agreed to either buy back or retrofit 500,000 vehicles, among other things. The company remains involved in investor lawsuits in the U.S. and in Germany related to how the emissions-test rigging affected the stock price, as well as consumer lawsuits and a criminal inquiry in Germany. The scandal has already cost the world's biggest automaker some $30 billion in fines and recall costs. Volkswagen's Audi recalled some 5,000 A8 diesel sedans in November to update the software built into vehicles as late at August 2017. Earlier last year, then-German Transport Minister Alexander Dobrindt accused Audi and Porsche of using a defeat device in the A8 and the Cayenne SUV and forced the recall of 22,000 cars sold in Europe with 3-0-liter diesel engines. Lawmakers are seeking to learn how far up the corporate chain at Volkswagen and Porsche knowledge of the cheating went and "have they been held accountable," Issa said. 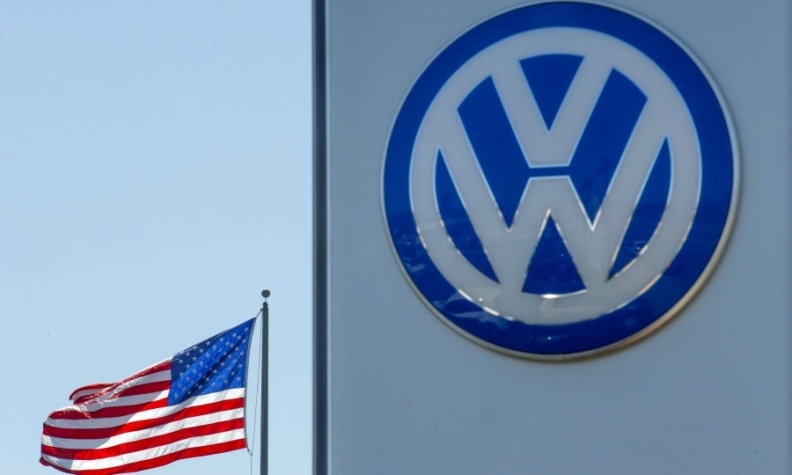 "Since September 2015, Volkswagen has taken significant steps to make things right for our diesel customers in the United States and help win back the trust of the American public," Volkswagen Group of America spokeswoman Jeannine Ginivan said in a statement. "Volkswagen is currently in the midst of the biggest transformation in our history, as we work to become a global leader in sustainable mobility and build a stronger and more transparent corporate culture." Oliver Schmidt, VW's compliance liaison with American regulators, pleaded guilty in August to one count of conspiracy to defraud the U.S. and another of violating the Clean Air Act and was later sentenced to seven years in prison. James Liang, a veteran VW engineer, was sentenced to 40 months in prison in August. Liang, who pleaded guilty to conspiracy last year and has been cooperating with prosecutors, has appealed his sentence. No Germany-based senior executives have been convicted in the case, which Issa said he finds troubling. Representatives Steve King and Ron DeSantis sent a letter in December to VW's CEO Matthias Mueller questioning the company's resolve to improve its ethical standards and be transparent about the involvement of high level executives tied to the emissions scandal. "Certain developments at Volkswagen AG in Egypt, Germany and elsewhere relating to compliance and ethical issues that we find deeply troubling suggest a persistent continuation of the type of inappropriate conduct that led to one of the largest scandals in automotive history in the U.S.," King, an Iowa Republican, and DeSantis, a Florida Republican, wrote in a joint letter dated Dec 20. Separately, Congress is looking to permit the Federal Trade Commission to more easily investigate the activities of companies based outside of the U.S., Issa said in an earlier interview in Munich. American politicians were "motivated" to keep pressure on Volkswagen, added Issa, who is not seeking re-election. "A criminal investigation is never over, until the statute of limitation hits."